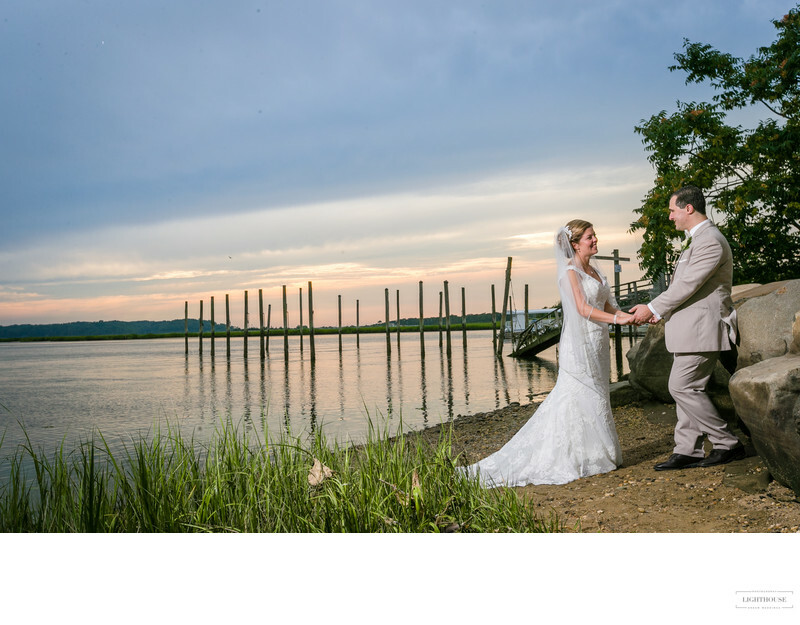 Looking for the perfect Long Island wedding photography spot? Local wedding photographers recommend these nine beautiful parks! For many couples, a photo session is a lovely way to sneak a little time together into the busy wedding day. Whether you’re meeting before your ceremony or stealing away before the reception, you’ll find time to catch your breath and reconnect if you choose a photo spot away from your guests for a little while. But it’s hard enough picking a favorite Long Island wedding venue -- what do you do when it’s time to find a spot for your photos? Here’s a tip from local wedding photographers: head towards one of Long Island’s beautiful parks. If you’re getting married near Kings Point, Great Neck, or Kensington, stop by Kings Point Park for a charming, casual photo shoot. This 175 acre park includes more than five miles of trails -- and while we don’t recommend going on a long hike in the middle of your wedding day, we do think the woods are the perfect place for a couple who loves the outdoors! No matter what season you celebrate your big day, you’ll find yourself with a beautiful woodland backdrop. And since this is a community park, you won’t need to worry about permits to visit or take photos. The Bayard Cutting Arboretum started as the Westbrook private estate before becoming part of the Long Island State Park Region. The grounds, which were designed by Central Park’s landscape architect Frederick Law Olmstead, celebrate and display the beauty of nature. The Woodland Garden will make you feel as if you’ve escaped to an ancient forest, while the Rhododendron Garden and Perennial Garden are beautiful every season of the year. Visit the Holly Walk in winter, or stroll along the River Walk for views of the Connetquot River. In the center of it all, the original Manor House offers a touch of old world elegance. There’s definitely something for every couple’s style of romance here! Just off Old Field Road in East Setauket you’ll find Frank Melville Memorial Park, a beautiful, historic spot that first opened in 1937. The scenic, wooded trails of the Preserve offer a quiet escape from the bustle of your wedding day -- as well as the chance for some beautiful woodland photography! At one end you’ll find the Bamboo Garden, and at the other are the Bates House and Bates Barn, two beautiful old buildings that provide a glamorous, rustic backdrop for photos. Further into the park is the old Setauket Millpond and Mill House, a charming setting for either wedding or engagement photos. And if you’re taking photos in the evening, it’s the perfect spot to catch a beautiful sunset. In the beautiful South Shore village of Babylon you’ll fine Argyle Lake Park. This picturesque spot is centered around the man-made Argyle Lake, which was created by a a dam across the Carll’s River. The dam itself is made of landscaped terraces, elegant marble balustrades, and steps down to the water’s edge, with water tumbling in miniature cascades into the river below. Argyle Lake feels like a touch of European glamour in the middle of Long Island. If you’re celebrating at a wedding venue nearby, we highly recommend stopping here for a few elegant, romantic photos! Not far from Kings Point Park is Steppingstone Park, the perfect stop for a couple that loves all things nautical. Steppingstone Park overlooks the Long Island sound and includes the local Marina. Stroll along the piers for photos with ocean views, and if you’re feeling a little silly or playful, stop by the playground for some time on the swings. And of course, you won’t want to miss one of the best features of this little spot -- the butterfly garden! This miniature formal garden sits in the middle of the park, and it’s a beautifully landscaped, lush, green spot. In the spring and summer is overflowing with flowers and, of course, butterflies! If you’re looking for wedding photography with a touch of fairy-tale whimsy, this is a perfect place to be. Stretching across 1,500 acres between the Long Island Sound and Lloyd Harbor, Caumsett State Park and Preserve was once a glamorous Jazz Age estate. In the 1960s it became a state park, but it still keeps that Gold Coast Era style. There’s space here for every kind of wedding photo you could want. In the spring and fall, stroll through acres of woodland trails. In the summer, you won’t be able to resist running through the vibrantly green meadows or visiting the waterfront to stroll on the beach. The old Henry Lloyd Manor house is still standing, and it’s elegant stone terraces lend that touch of glamour that Long Island wedding photography is known for. Created in 1997, Avalon Park was designed to celebrate the wild beauty of New York before it was settled. There are scenic paths along the shore of a tranquil lake and a stone bridge over a picturesque pond. There’s the Labyrinth if you’re feeling calm and quiet, the Tulip Poplar Grove for a little bit of romantic whimsy, and the Hilltop Meadow if you’re feeling wild and giddy. Next door you’ll find the 76-acre Preserve, a wildlife and plant sanctuary filled with truly stunning scenery. 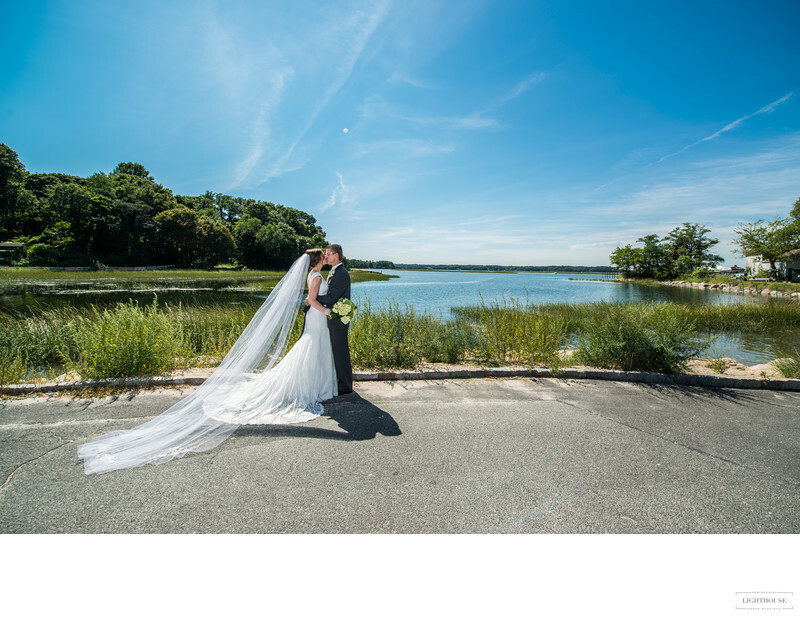 Whether you’re looking for a scenic photo spot before heading to your wedding reception or the perfect place for your engagement photos, Avalon Park is one of our favorite Long Island photo spots! On Long Island’s South Shore you’ll find Islip Grange Park, created to house some of Sayville’s historic buildings and show visitors what life would have looked like in the nineteenth century. The buildings are all historic landmarks, beautifully maintained and with an enchanting old-fashioned elegance. Visit the old mill, built in 1895 by Sayville’s Powell family, the pretty little gazebo, or the Ockers Barn and carriage house. In the spring, the buildings are surrounded by flowering trees. In the fall, the landscape is full of fiery reds and oranges. This little park is truly unique photo spot, a perfect rustic background for any couple that loves Long Island’s history. Located in Oyster Bay on Long Island’s North Shore, the 400 acres that make up the Arboretum and state park were originally just Planting Fields, a Jazz Age estate. In 1949, it was deeded to New York, when it became a state park and historic landmark. The Coe Mansion captures the essence of Jazz Age elegance and glamour, but the sprawling grounds are the real stunner here. They stretch out from the house, leading you to secluded wooded paths perfect for wandering and capturing a few fairy tale photos. There are beautiful features in the Italian Blue Pool Garden and Green Garden, while the Camellia, Rose, and Dahlia Gardens are always bursting with blooms. Even in winter it’s a perfect spot to visit, with gardens dedicated solely to holly and pine, as well as half a dozen greenhouses to explore. Planning a Long Island wedding? If you’re planning a Long Island wedding, one of the best investments you can make for a smooth, stress-free wedding day is to hire a local wedding photographer. 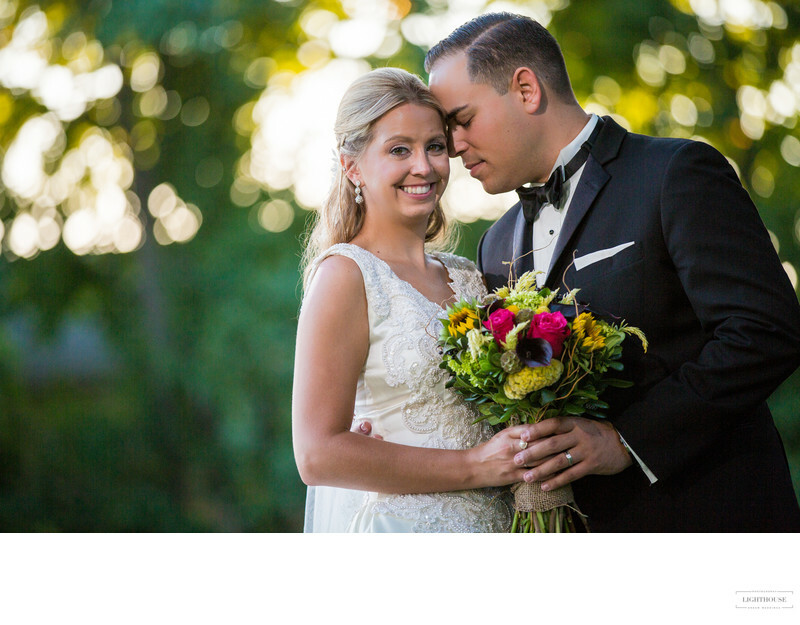 A local photographer will not only take beautiful photos, they’ll also be able to advise you on the best spots for Long Island wedding photography! 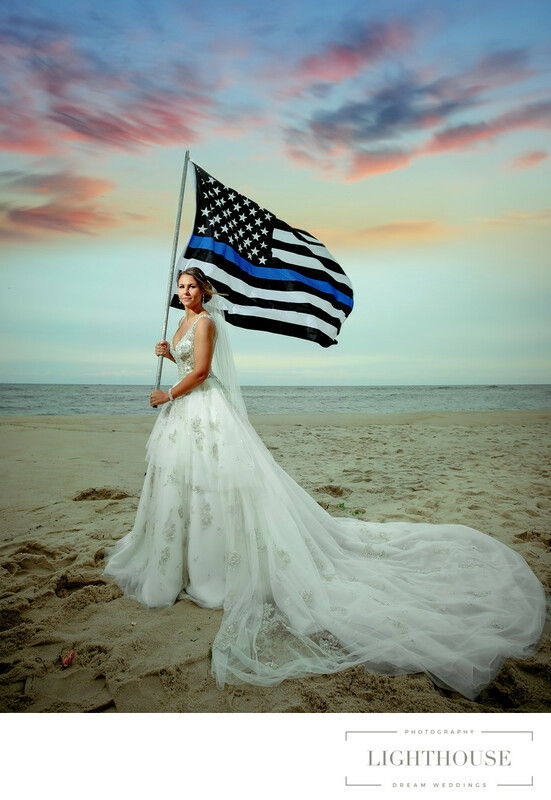 In addition to getting the best Long Island wedding photos possible, local photographers come with tons of other benefits. Check out all the perks [link] to choosing a local wedding photographer for your big day. Location: 231 Dune Rd, Westhampton Beach, NY 11978.